Here is new notification is out today related to the Police officers jobs under Gujarat Police department. OJAS Bharti is one of the major recruitment process in Gujarat state. OJAS Department recruit fresher candidates for various department in Gujarat state only. Through this OJAS Bharti department is going to fill up the vacant positions of constables under various trades. 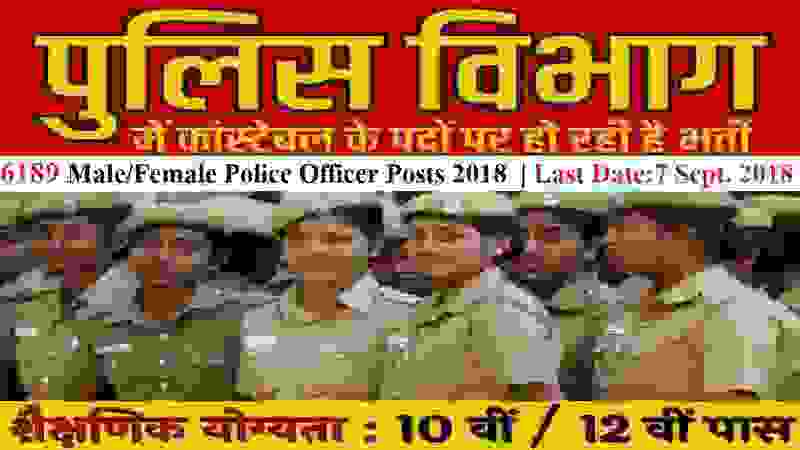 OJAS Bharti department said that there are total 6189 posts which are going to be filling up through this Police department recruitment process. We also took this information related to this Police officer recruitment from the official website of OJAS department Bharti website. We share all the reference links from which we took this information under the IMPORTANT LINK section. We advise you to read whole the post carefully before moving to apply online for this OJAS Bharti 2018. We explain each and every information about these police jobs below in this article. So read it till the end to know more about these Police jobs in Gujarat state. 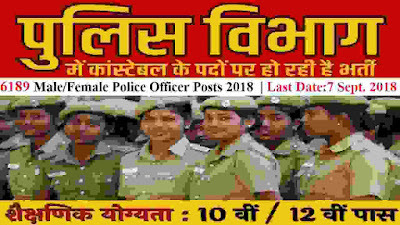 All fresher candidates from India who have passed in their 12th class that means in their Higher Secondary Examination can apply for this OJAS Bharti for Police department 2018. Only those 12th pass candidates are eligible whose age lies in between 18 – 33 years. What is the minimum Criteria for Running Test? How much is the application fee for applying this OJAS Bharti? You can pay the application fee by using the following online methods : “Debit Card, Credit Card, Net Banking”. There is no offline process for the payment of the application fee. 15TH Aug. 2018 is the Opening Date to apply. 07th Sept. 2018 is the Last Date to apply.